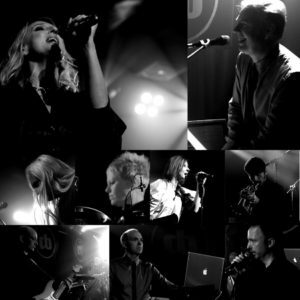 To celebrate the launch of her new live DVD ‘This Happened’, Claudia Brücken reprised her triumphant appearance at The Scala captured on that DVD with another guest filled show at London’s Bush Hall. With a sparkling band led by her erstwhile Onetwo musical partner Paul Humphreys, on a slightly cramped stage they were additionally augmented by the skills of legendary ZTT producer Stephen J Lipson who worked with Claudia on Propaganda’s ‘A Secret Wish’ and Act’s ‘Laughter, Tears & Rage’ albums. Also present from the Scala gig line-up were Susanne Freytag who performed ‘Dream Within A Dream’ while Claudia took a mid-set break and HEAVEN 17’s Glenn Gregory who participated in some playfully fun renditions of ‘Snobbery & Decay’ and ‘When Your Heart Runs Out Of Time’, while Martyn Ware joined them for a Teutonically ripe ‘Temptation’. Central to the evening though was her stripped down covers of ‘In Dreams’ and ‘Running Up That Hill’ with pianist Andrew Poppy which showcased Claudia’s emotive range and diversity. 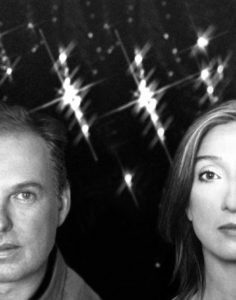 But in the absence of Andy Bell came another Andy of the McCluskey variety who duetted with Claudia on Act’s ‘Absolutely Immune’ and OMD’s evergreen ‘Messages’. With other great tunes aplenty from Claudia’s repertoire like ‘Thank You’, ‘Absolut(E)’, ‘Sequentia’, ‘Night School’, the Martin Gore co-write ‘Cloud Nine’, ‘p:Machinery’ and of course ‘Duel’, it was another warm, heartfelt evening with plenty of love from Claudia’s loyal audience in return for an elegantly refined performance. Paul: It was great to see Alan Wilder too cos I’d not seen him since Depeche Mode’s ‘101’ tour in America, we had a real good catch up. I really like Alan a lot. Onetwo seem to be invited to play the cool festivals but is there any reason OMD don’t seem to get asked? Paul: We will… we’re having an easy year in 2012. But next year, we’re pushing for some really good festivals. Claudia, have you ever been tempted to accept an offer to play Here&Now or Rewind? Claudia: I’ve not been asked before…there is this thing about me going out as Claudia Brücken and me going out as PROPAGANDA. If PROPAGANDA was set-up with everybody there, I think it is most likely we would have been approached, but not as Claudia Brücken. Claudia: They wanted to ask if I would be interested in being the voice on three songs for that game. I thought: “why not?”. I heard the songs and thought they were so beautiful. I found it a really good challenge doing something I hadn’t done before. Claudia: …I liked the whole idea. Paul: What was interesting is that it tuned Claudia onto a much younger audience. Those songs are all over YouTube and some of the comments are from 16 year old gamers going “OMG, who’s this singer, where can I get an album like this?”…so they WILL have an album like this. 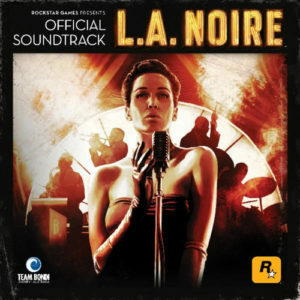 We’re doing a noire album. Claudia: What was really nice was that the producer Stephen Coates is London based so that made it all plausible and Paul recorded the vocals. 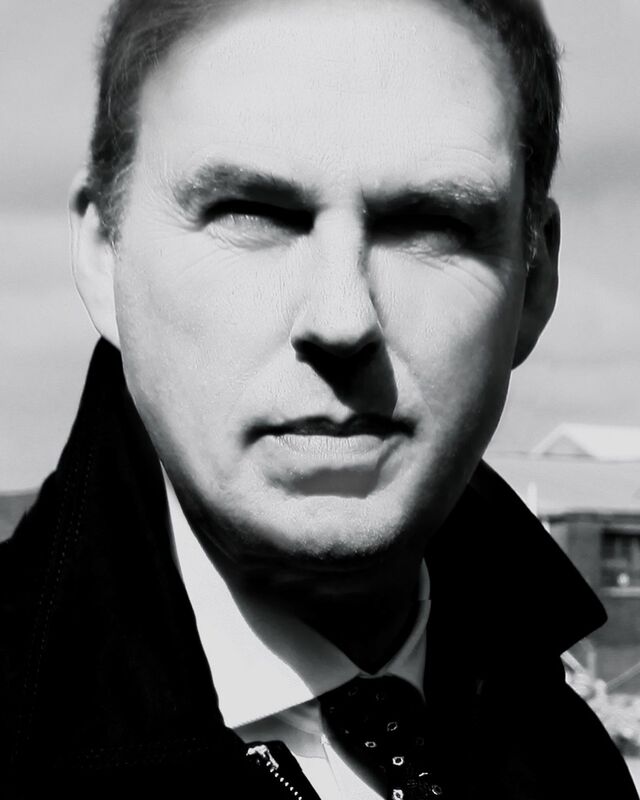 Paul: The feedback’s been amazing and I’ve been interested in the comments on the OMD site. People are saying “Oh my god, it’s like Dazzle Ships’ for this century” and “I hope the new album’s got something like this on it”… and IT DOES! So what about the future projects then? Claudia: We’d work on the song arrangements remotely but when I was ready to sing, I’d go over to Stephen’s studio in Hastings and that was an amazing experience. I’m so happy about this album because you really can’t put it into a certain time, it kind of ignores what’s current and it’s not competing with it. Stephen is playing all the instruments and that’s a great gift he has. He loves his electronic references, but he enhances it as he’s a multi-instrumentalist. So Paul, what’s happening with OMD? 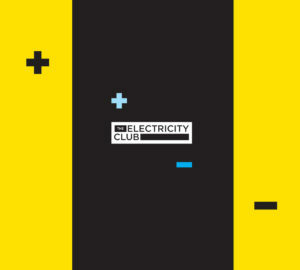 Paul: I’ve been working on ‘English Electric’ which will be out in 2013 and it’s fab by the way. Andy and I are really excited by ‘English Electric’. We’ve really gone to another level from ‘History Of Modern’, which was too much remote work. We realised we don’t work very well passing files back to each other; we work best when we sit in a room together. And so I’ve been up to Liverpool loads. What we’d do is flesh out the ideas together and then we’d both take parts back to work on separately. But the spark of this record is us sitting together in a room. We really had a mantra for this album which was “What does the future sound like?”…we’re pushing boundaries. There is a song called ‘Night Café’, which is like ‘She’s Leaving’ meets ‘Souvenir’ and lovely. The album’s a little bit more musical than ‘Dazzle Ships’, but it is ‘Dazzle Ships’ for the 21st Century in a sense because it’s not just a collection of songs. The album is themed although it’s not a concept album. There are sections that maybe only last a minute and a half, there’s pieces that are three minutes and nine minutes as well. We’ve also got a song called ‘Metroland’ which I think is going to be really fantastic. And when can we look forward to the next ONETWO album? Claudia: It’s coming along but obviously with all these projects, the DVD etc, there’s only so much we can do and you need focus. So Paul and I have been writing and recording but personally I thought it would be great if Andy and Paul could make a great album as OMD. Paul: Who knows if there is going to be another OMD album after this? Maybe there will but if this was to be our last album and I have to think in these terms now, I want to leave an album that is really special. And I think ‘English Electric’ has a good chance of being that album. I’m really happy with it. CLAUDIA BRÜCKEN ‘This Happened’ DVD+CD set is available now through the There(there) shop. Carry On Synthpop: LUFTHANSA TERMINAL Nice Video, Shame About The Song!